Did you think jelly was only for children's parties? Well download this free recipe idea for a more sophisticated take on the normal jelly. 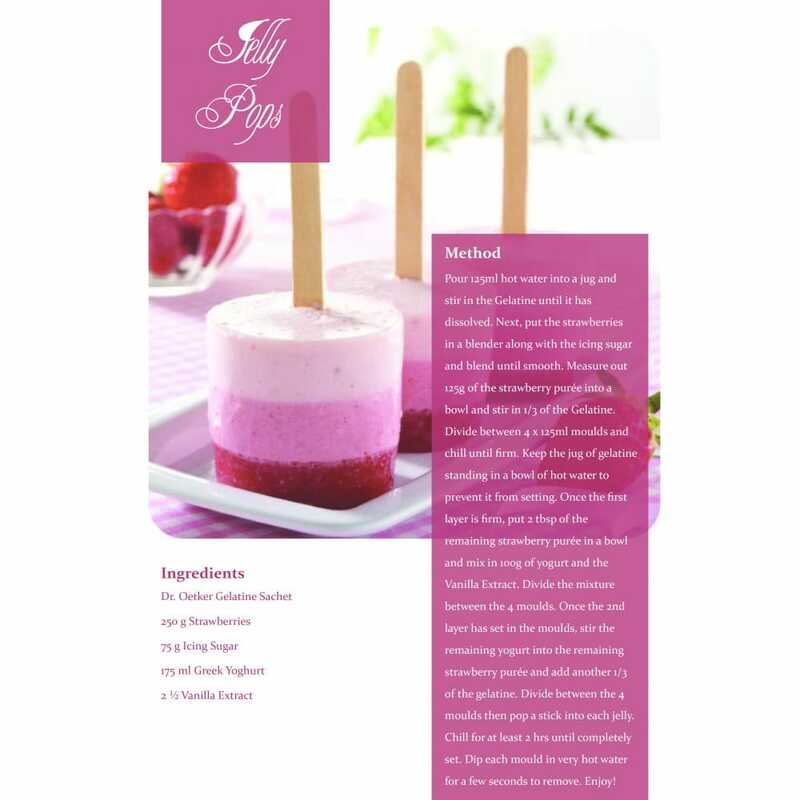 These jelly pops are beautifully flavoured with strawberry purée and yoghurt to create the pretty layers of pink and white. So go ahead, bring out the inner child and indulge in these treats.